Introduction: As more and more new, big baits hit the market made by manufacturers trying to grab hold of the current craze in bass fishing, few carry with them an actual pedigree. 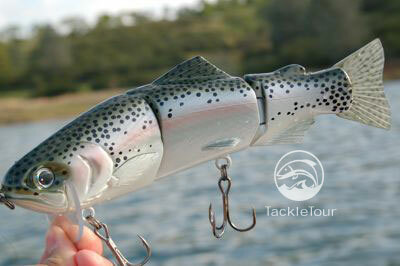 Instead, most of these new baits are first generation products from equally new companies. Even many of the established companies seem to rest on the success of a few popular baits and concentrate on production rather than innovation. The bait that started 3:16's journey down the path of making big, hard bodied plugs, the Armageddon. 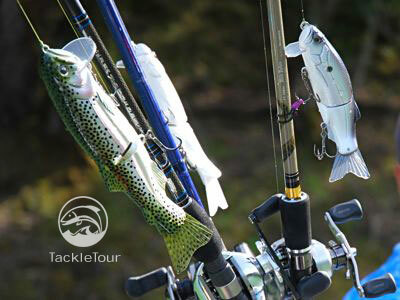 Enter 3:16 Lure Company who, since the introduction of their very popular Mission Fish about eight years ago, has been busy pushing the envelope on what can be done with big bait designs. 3:16's latest and greatest success? 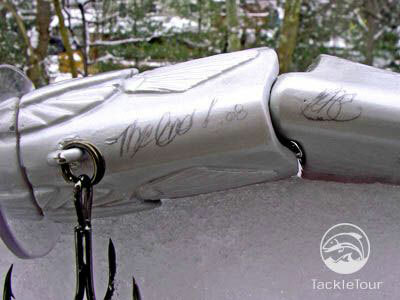 Their new, 8" topwater hardbait titled "The Real Deal" a bait that retails for one hundred fifty dollars ($150) but saw a first generation signed and numbered version sell for over one thousand dollars ($1,000) on that popular online auction site. 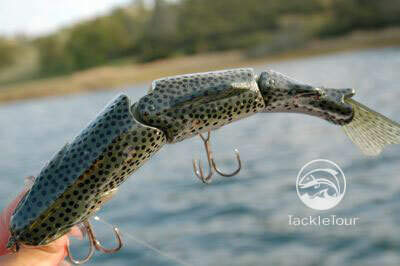 What drives big bait chuckers to such extremes and what exactly is this pedigree to which I refer? Let's take a look at the evolution of a big bait and what makes 3:16's latest big bait the Real Deal. The Armageddon was a three sectioned, lipped floater that retailed for $250. In The Beginning: The big, hardbait market all started out for 3:16 Lure Company with a bait called the Armageddon. This 10", 7.2 oz bait was Mickey Ellis's very first hard bodied, big bait. The Armageddon consisted of three sections and was built as a floater but with a diving bill just under the head so the bait could be waked just beneath the surface. 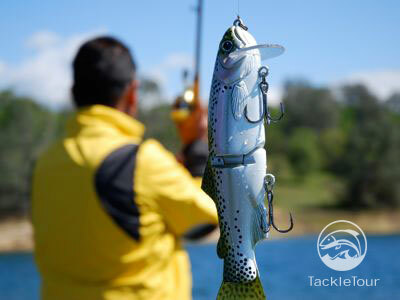 A popular modification of this bait was to remove the bill and make it a pure floater fished on a dead stick or on a tantalizing crawl across the surface of the water. The Armageddon was discontinued at the beginning of 2008. But alas, all good things must come to an end as the Armageddon was officially decommissioned at the beginning of 2008. Shortly after the Armageddon, came 3:16's 10" Wake Bait, a two sectioned, hard bodied lure that is very well regarded amongst seasoned big bait throwers. 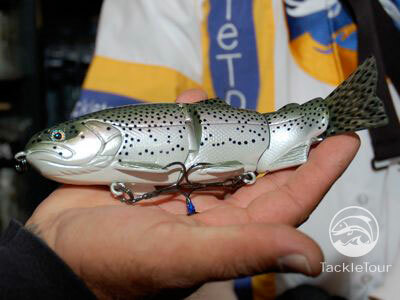 Of course, the smaller version of this bait, the Wake Jr., won our Ultimate Enthusiast award back in July of 2007. Any big bait throwing topwater fanatic who does not have one of 3:16's Wake Jr's in their arsenal by now is surely missing out on some exciting, explosive fishing. 3:16's Original Wake was an instant classic and is still highly sought after by big bait veterans who know that size matters. Completing the wake bait family for 3:16 Lure Company is the Baby Wake which made its debut late in 2007 and is a 6 inch, 2.1 ounce bait built with the tournament fisherman in mind where numbers of fish, rather than ultimate size is the goal. 3:16 now makes an entire family of wake baits capped off by the Baby Wake (far right) introduced During the fall of 2007. Even before the Baby Wake was born, however, 3:16 had another series of hard baits in the works that were actually offered up in a limited production run. These baits were the 1-up and 2-up, respectively an eight and seven inch, three sectioned, hard bodied, lipless, sinking bait. Both baits were discontinued within their first few months of existence because Mr. Ellis was not happy with the consistency of their performance. The Original 1-Up was introduced at the Sacramento International Sportsman's Exposition in January of 2007. The 1-up, just this year, has re-emerged with some very subtle changes, but the 2-up, as far as we know, still lives in oblivion. 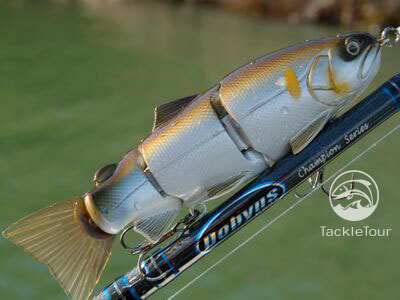 Even then, 3:16's renewed eight inch, lipless sinker is a limited run bait. Why? Well, perhaps the reason behind the 1-up's limited availability has to do with Mr. Ellis's latest and arguably, greatest project. Then, just as soon as word got out on that bait, it was discontinued only to re-emerge a year later with some very subtle changes.